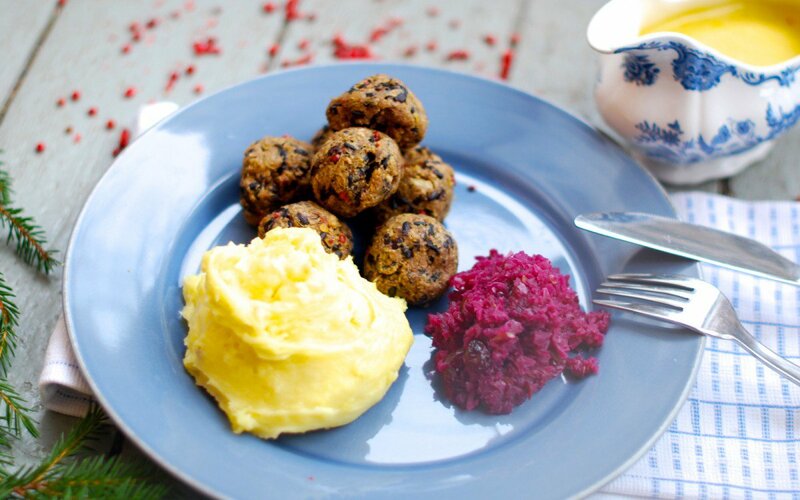 These Swedish veggie meatballs, made with black rice and lentils are so yummy! Serving these with the right sides, like potato mash, red cabbage relish, and plenty of gravy brings out the best of their flavor and texture. They’re a real traditional Swedish treat that’s perfect for dinner.